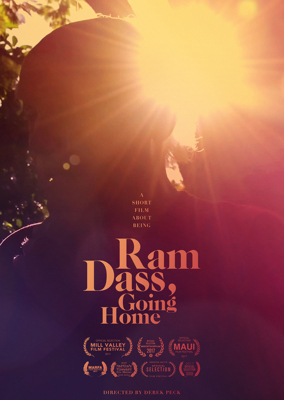 Ram Dass, Going Home is a profound and poetic encounter with cultural and spiritual icon Ram Dass at his home on Maui. In the final chapter of his life, the intimacDerek Pecky of the film imparts a sense that you are right there with him. Together with the beautiful music of remarkable composer Paul Cantelon, this is a rare opportunity to be in the presence of one of the most inspiring people to grace the planet. A meditation on life that adds meaning to our everyday experience. Derek Peck is a California and Brooklyn-based filmmaker who has made several documentary portraits on notable cultural personalities, including Marina Abramovic, Peter Beard and others, all of which are known for the intimacy he achieves with his subjects.